Check back for new and updates in website design, search engine optimization and social media management! Great boutique Web design firm that gets needing to look professional but not lose the essence of your business. They built my site from scratch and gave it the look I was going for. Not only did they design a great site but they advised me about all aspects of search optimization and what I needed to do on an ongoing basis and what my site needed imbedded in it to enhance searches. I have two small companies that do retail business in the bay area. The On The Bay team quickly immersed themselves in both our companies and quickly understood our markets, our needs and goals. They continue to impress with there “going the extra mile” with us. Need another reason to get your website and online brand on track? Request a quote online or give us a call for your complimentary web-presence analysis! 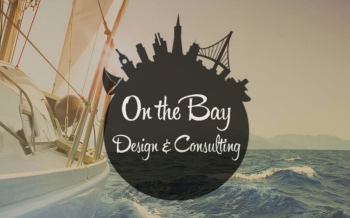 On the Bay Design & Consulting is your one-stop shop for all your website and online marketing needs. We specialize in WordPress website design, search engine optimization, social media management and online marketing. Contact us today to schedule your complimentary website analysis!